If you have been following my #Carlees34 on IG then you know we went to our favorite Mexican restaurant on Taco Tuesday this week (since they were the recipients of my Day 14 act of kindness) which means no Mexican food tonight... but that's okay because I am surprising two of our friends' kids and taking them to see a live taping up Fuller House! But before I grab them from school and head to the Warner Bros Studios, I wanted to share what I have been loving lately. If you were to look in my closet, you would see A LOT of t-shirts. 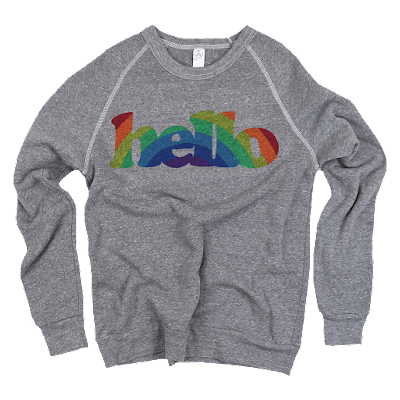 And one of my favorite brands is Hello Apparel. I have a ton of their stuff and am LOVING some of their new releases. I mean, the new rainbow sweatshirt is a MUST! It's so cute! 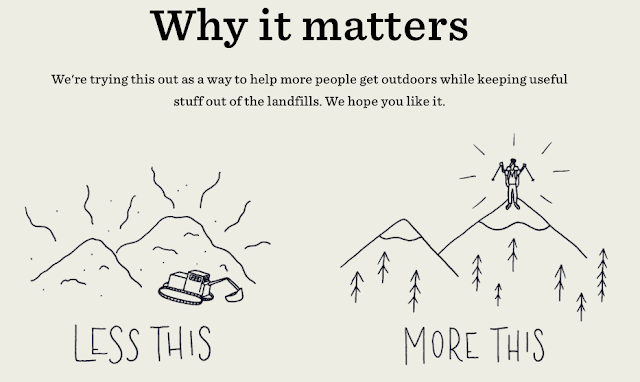 Did you know REI sells some of their products used at discounted prices?! I had no idea until I saw an email earlier this week! 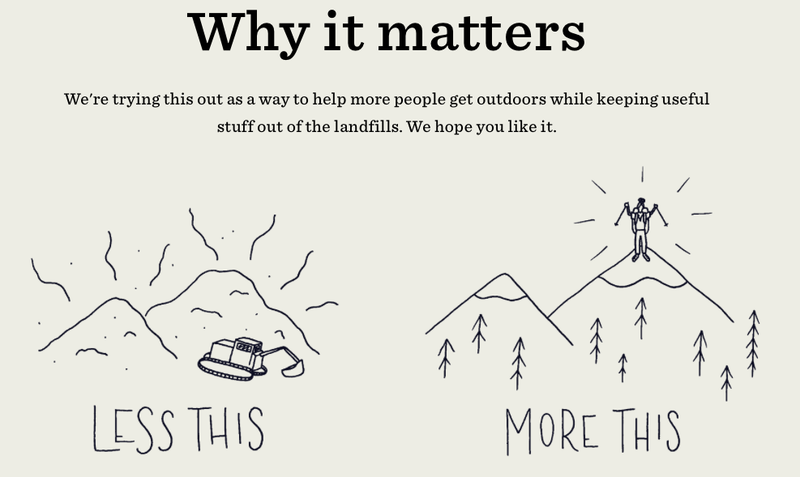 REI inspects gently used items that have been returned and selects the best. Then they put it up for sale so that it can get back outside where it belongs. When you buy used gear from the co-op, you keep an item out of the landfill and cut down on the production of new stuff. Bonus: You save moola (who doesn't love saving green while being green?!). The hubby and I have been on a kick of crime docuseries on Netflix recently. The last couple we have watched have been The Staircase, Evil Genius and The Keepers. I swear, they always leave you guessing "whodunit". I guess unless someone comes out and flat out admits to the crime there will always be some speculation on who did it, what exactly happened and why. I guess real life isn't like Law & Order where they neatly tie up all the loose ends in a 50 minute span. Remember how I mentioned at the beginning of this post that I was surprising some of our friends' kids with a trip to see a live taping of Fuller House?! Well, in case you aren't in the LA area but still want to get a taste of what goes on around the studio (and in the daily life of Andrea Barber), you should check out Andrea's new vlog series. She currently has two episodes on her YouTube channel and I can't wait to see what she (and Michael) put out next! 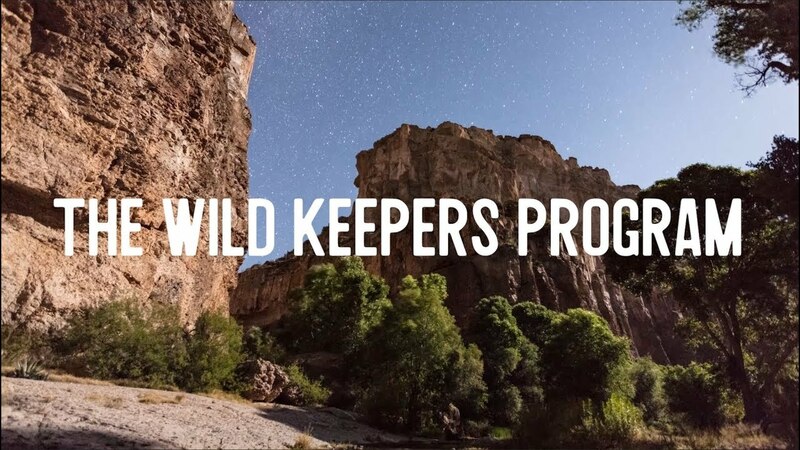 If you've been around these parts for a while you may remember that I was a Wild Keeper earlier this year with the brand Keep It Wild. I loved being a part of the crew but opted out on reapplying so that other folks could have the opportunity. I had a handful of you asking about how you could officially be a part of the program. In case you're interested, they'll be opening applications for the Fall Term next week (on August 31st). To be notified when the apps open, fill out this form.